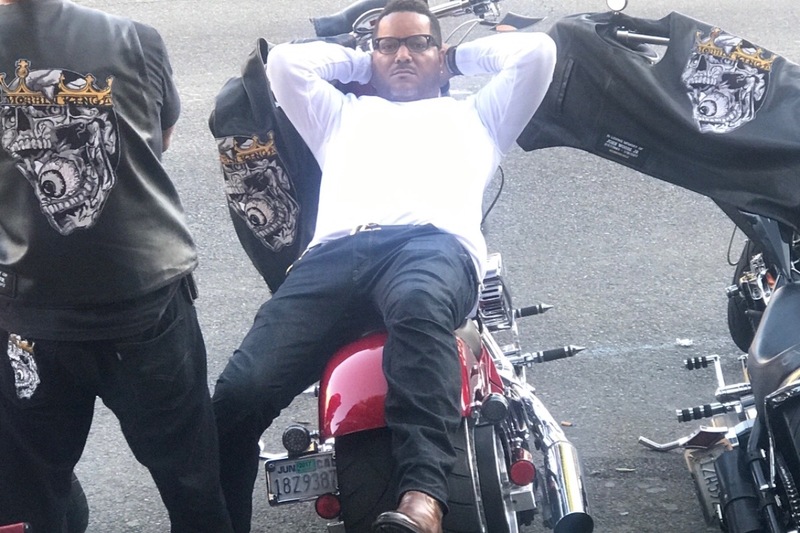 On Sunday, September 16th Bino, the national Mobbinkingz VP was in a motorcycle accident. A car coming onto the freeway didn’t see him which caused Bino to swerve and lose control of his bike. Sadly the driver of the car sped off, and left the scene. Witnesses saw him catapult off his bike and bounce 75 yards along the freeway. He was airlifted to UCLA Hospital in critical condition. The extent of his injuries are extreme and it will take time for him to heal. Bino was just discharged and rehabilitating at home. Medical costs are just now starting to come in and even with insurance, it’s already showing that it will place financial difficulties for the family. If you’ve ever met Bino, then you already know he’s an amazing guy and goes above and beyond for anyone who needs help. I It is our hope that our family and friends can come together and help his family at such a difficult time. Anything helps, any size donation will make truly difference. Thank you so much for continued prayers, love and support. Hello to EACH AND EVERY ONE OF YOU and THANK YOU ALL for YOUR LOVE - YOUR PRAYERS - YOUR THOUGHTFULNESS and YOUR DONATION . It has been truly amazing and extremely helpful to my Family and I. As I am starting to get my senses back and my feet back under me, this is the first thing that I wanted to make sure I did . My life has changed so much and my faith has become SO MUCH STRONGER. I was told that, “GOD WAS NOT DONE WITH ME”, therefore I have work to continue to do for him. YOU ARE ALL INCREDIBLY AMAZING and I THANK YOU SO MUCH. My Wife, has been EVERYTHING and because of each of you, our Family continues to strive and get through this and these Financial burdens as a result of My accident. I LOVE and appreciate EACH OF YOU for SO MANY REASONS, but mostly FOR CARING & helping my family and I through this detrimental stage in our life. If I don’t know you - I look forward to one day meeting you and Hugging YOU and just THANKING YOU FOR YOUR LOVE FOR ME AND MY FAMILY. THANK YOU AND MAY GOD CONTINUE TO BLESS YOU ALL AS YOU ALL HAVE BEEN A BLESSING TO ME AND MY FAMILY. God is good!! He has been with us every step of the way and continues to bless us with family and friends that continue to pour their love into helping at a time like this. We are so touched by all your love and support! It means so much to Bino and our family ♥️. Every day he gets a little stronger. This is a very difficult time for us and with all of our loved ones continuous support truly means the world to us. Monday will be his 2nd Physical Therapy session and we’ll definitely update you with how’s he doing .